Body Areas: Feet and the lymphatic system. Your lucky numbers are 2 and 6. You're MOST admired for your Compassion! Luckiest Day of the week is Friday, Pisces. The Moon is in your 9th House of higher education and people from a distance today, Pisces. Exercise patience and do not jump headfirst into anything new for the next couple of days. Those who previously ignored you will suddenly request more of your time and affection. You will be more feeling positive about the direction of your life. 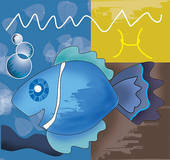 Expect travel, publishing, foreign people and foreign places to capture your attention today, Pisces. An Aries, Gemini and a Scorpio play prominent roles in your weekend.